Most of us are fortunate enough to have more to be thankful for than there are days in the month. The bigger issue tends to be remembering to say "Thanks! ", or think "Thanks! ", or just feel thankful. Thank goodness for Thanksgiving, right! 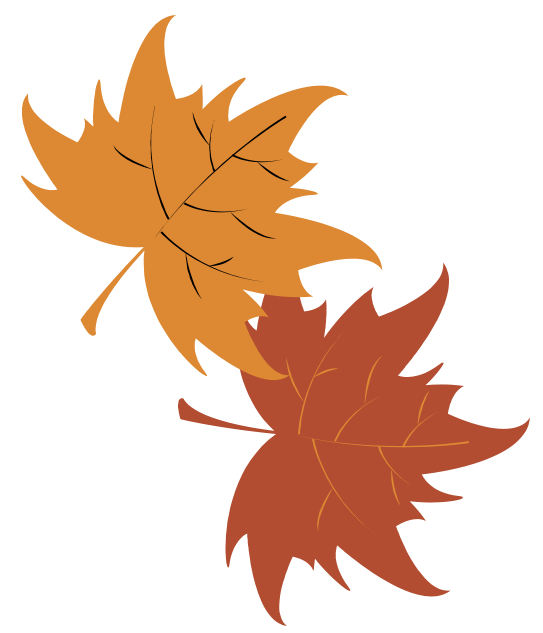 November comes around and it gives us the little nudge we need to express our gratefulness when, where, and to whom it should be expressed. We can tell you one thing for sure, we are thankful for our great big SLA Family! Our students, parents, schools, and teams all help make us who we are, help us strive to be the best we can be, and help us feel gratified by the work we do. Someone once said, "Do what you love and you'll never work a day in your life." We are thankful to be able to do what we love, for you. 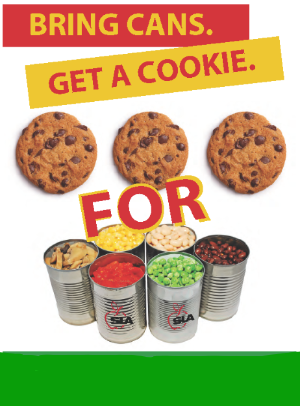 SLA is busily working on our annual food drive, "Cookies for Cans" to benefit food banks in our school communities. Some schools have already started, and others will start soon. 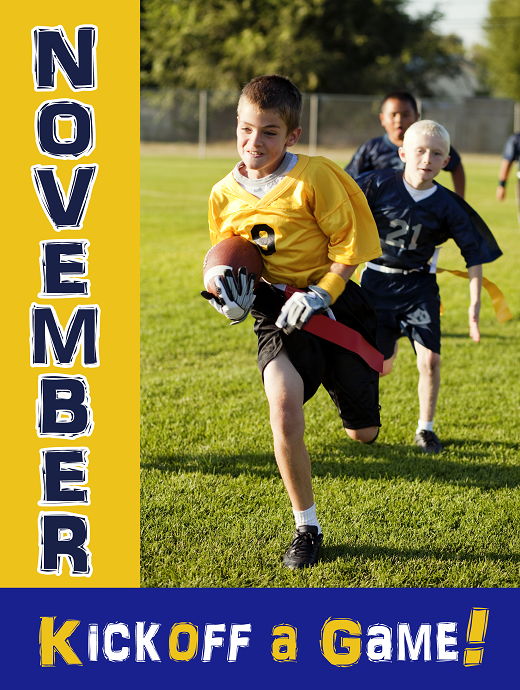 If your school is participating, you'll see posters like this in your Cafeteria and an info link with your school's dates on your Cafeteria Hub. We collected over 8,000 cans last year. This year's goal is 10,000! Come on, we CAN do it!Follow your progress on the SLA Facebook page! Fall is in full swing, and for many of us, that means cooler, if not colder, weather...at least at the beginning and end of the day! This time of year is exactly what dressing in layers was made for. Help your students bundle up in the morning, prepared for any expected inclement weather, but remind them to peel off a layer or two as the day gets warmer, and then layer back up as it cools down in the afternoon. Children, especially younger ones, often don't even think about the fact that they're feeling hotter or colder. They're too busy with their activities to realize it, until it's too late, leading to headaches, over-tiredness, even stomach aches, or worse... crankiness. That's right, they left all the fun on the field and brought the grumbles home to you! Now, if we could only get them to not leave their sweaters... jackets... gloves... mittens... scarves... hats... on the field or in their lockers, so we'll have them for morning! We are notifying schools and you should be hearing from them soon if your student has won a $25 credit on their Lunch Account! 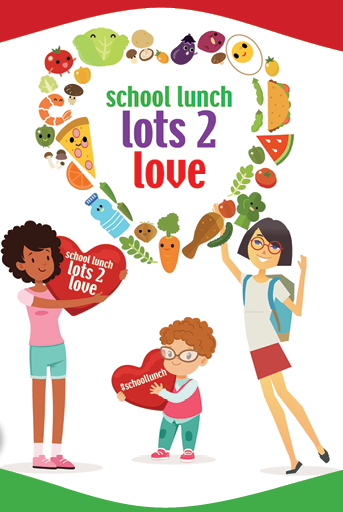 A healthy school lunch is Lots 2 Love! 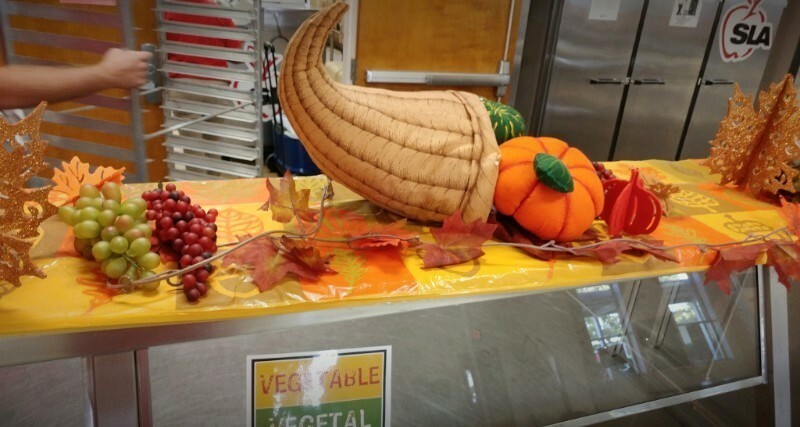 A traditional Thanksgiving feast is planned for many of our schools in the next few weeks. Be sure to check with yours for details on dates, serving times, and guest RSVP's. 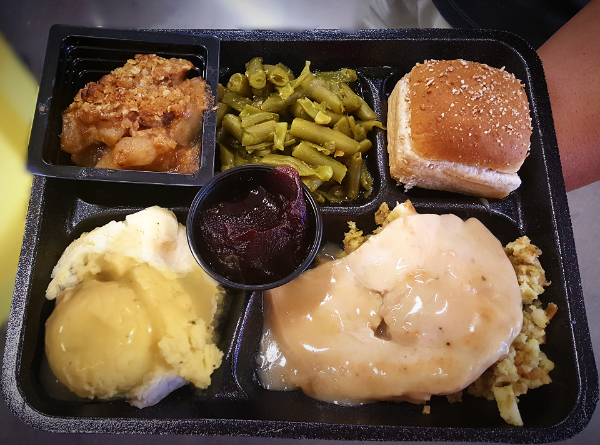 Apple Crumble, Green Beans, Whole Grain Roll, Stuffing topped with sliced Turkey Breast, Mashed Potatoes with Gravy, and Cranberry Sauce in the center. What fresh and locally available produce have our Chefs used to create this month's super tasty recipes? Check your Cafeteria Hub to find out! 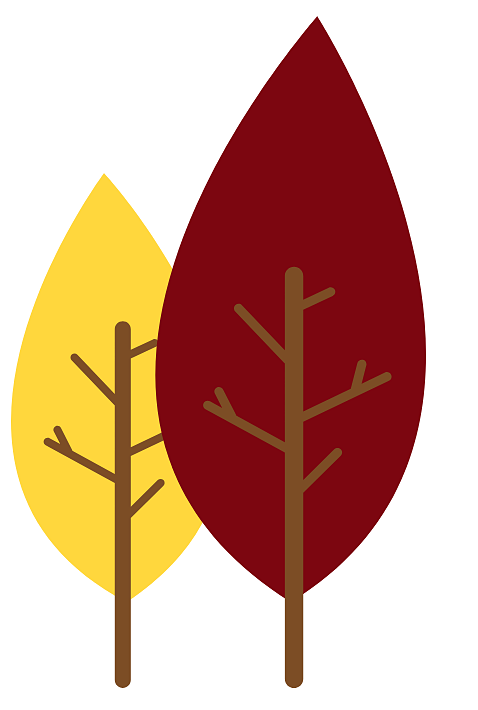 Our Customer Service staff is available Monday through Friday, from 8:30am–5:00pm, local time. Copyright © 2017 SLA Management, LLC All rights reserved.